Dr.Wafer started dreaming of becoming a vet way back when she was still eye-to-eye with her canine pals. 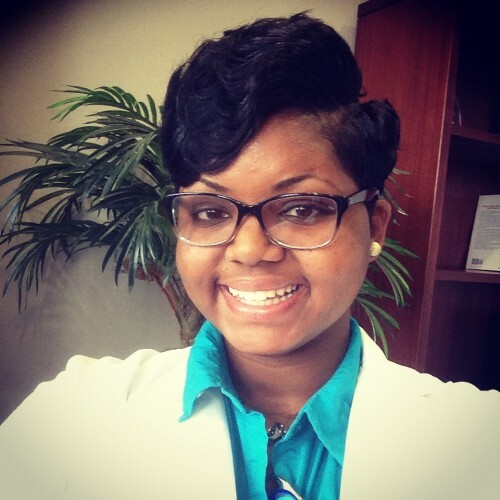 She received her BS in Laboratory Animal Science from North Carolina A&T State University in 2009 and her DVM from Tuskegee University in 2013. She completed her laboratory animal medicine residency from the Gulf Coast Consortium Postdoctoral Veterinary Training Program and is currently a primate veterinarian at Covance. WIth a passion for teaching, Dr. Wafer has helped many mentees along the way. Since joining Covance, she has created a necropsy training wet-lab for employees, joined as one of the leaders for training program team and has implemented several new ideas to help improve the company. Dr.Wafer loves to travel and has studied abroad in Belize and was a visiting veterinarian in Brazil in 2015 at the Soracaba Zoo and Wildlife Research Cener in Botucatu. Along with working with primates, she loves to help out the community and does preventive care medicine for dogs and cats on some weekends in South Texas. Dr.Wafer is always smiling and enthusiastic. With her go-getter attitude and determination, nothing can stop her! Dr. Wafer is a very professional and hardworking individual. I have been fortunate enough to have known her since our attendance at North Carolina A&T State University as well as Tuskegee University School of Veterinary Medicine. Throughout this period I have seen her grow and develop into the diligent young enthusiastic veterinarian she was called to become. 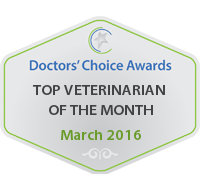 She is very deserving of this nomination for the Doctors\’ Choice Award for 2016. Dr. Wafer has been a hard-working, caring individual regarding animals. She has a drive not many individuals do. She is the perfect candidate for this award. 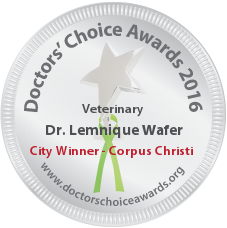 Dr. Lemnique Wafer time after time has proven through her continuous advocacy for animal wellness and professional contributions to the field that she truly deserves to be recognized by receiving such a high honor. Her enthusiasm and willingness to help serve as a Mentor to others is encouraging as well. She is an awesome individual and I commend her in her efforts! You Rock Doc! Dr. Wafer is an awesome person and first and foremost. It’s even more rewarding for the profession and animals that’s she’s a great veterinarian. She gives back to the community and that speaks volumes!!! She has always been very passionate about was she does. She never gives up and this is something I admire about her. I think she truly deserves this award. Dr. Wafer is an excellent veterinarian! I believe she is the perfect person to receive this award.